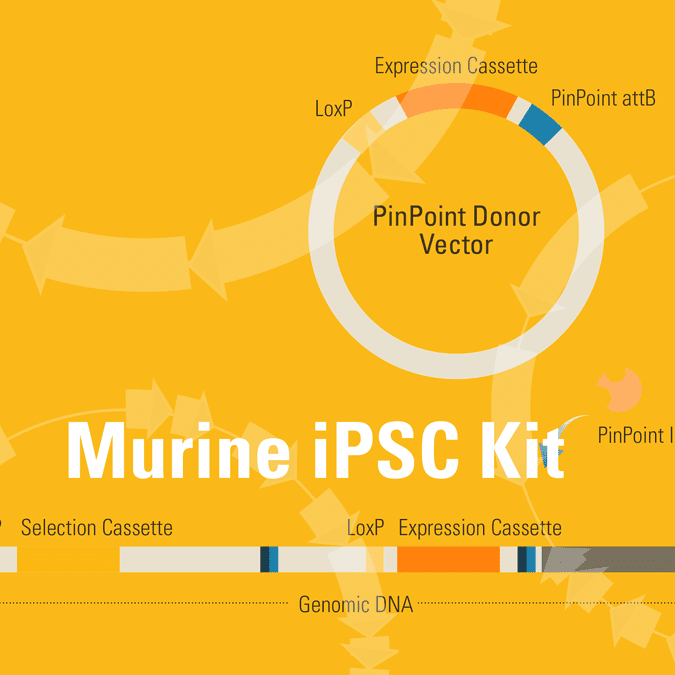 With the PinPoint-FC Murine iPSC Platform Kit for Targeted Gene Insertion you get the PinPoint Murine iPS Cell Line and all the plasmids you need for implementing the next steps of the PinPoint Targeted Integration process. Efficiently generate isogenic cell lines based on Murine iPS cells using a process that is easily converted into a high-throughput assay. And with the PinPoint System, you can achieve high-efficiency integration of any-sized insert.